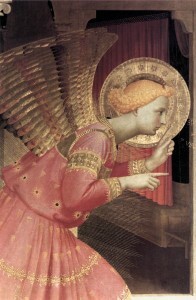 Painters in the Renaissance employed several different techniques to create works. Here are a few of the most important techniques and materials that were available to them. 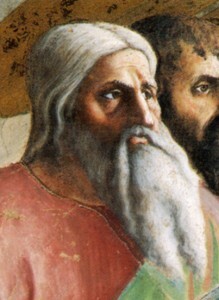 A fresco is a done when pigments are mixed with water and applied to wet plaster. The pigments are absorbed into the wall as it dries, making the painting and the wall become one. The benefit of a fresco is durability; since the painting has become part of the wall, it does not wear in the same way that a painting does if pigments are applied topically. A major disadvantage is that because the artist works with wet plaster, he needs to work quickly before it dries. Also, colors tend to be opaque, and the finish has a matte appearance. The type of fresco on wet plaster (as described above) is sometimes called buon fresco. Another type of fresco, called fresco secco, involves the application of pigment to a dry wall. This, of course, lacks the durability of buon fresco. Tempera is created when pigment is mixed with egg to produce a durable paint. The types of colors that painters could achieve with tempera was limited, but it was the medium of choice for most artists working in Italy until the late fifteenth century, when oil paints were adopted. Oil paints were widely adopted in Northern Europe in the first half of the fifteenth century, and they did not become popular in Italy until late in the century. Oil is slow drying, making it easy to make modifications while it dries. Unlike fresco painting, oil painting allowed artists to create translucent effects because oil could be applied lightly as a glaze. Oil paints also offered artists the ability to paint with a greater variety of colors that they could with other paint types, which allowed them to depict the human figure, architecture, and the natural environment in more and more realistic visual terms. 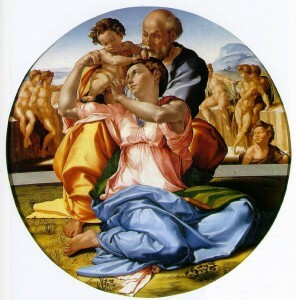 ItalianRenaissance.org, "Painting Techniques of the Renaissance," in ItalianRenaissance.org, July 18, 2012, http://www.italianrenaissance.org/painting-techniques-of-the-renaissance-2/.